55 plus communities are becoming quite popular among adults who seek to enjoy their golden years. These types of active retirement communities offer many great amenities and events as well as special care features to help you as you get older. Vienna Square is no exception, but what sets us apart from other retirement communities in Florida is why so many people choose simplified living here. You have probably considered central Florida an ideal place to retire. Our tropical year round weather, fabulous beaches and natural springs, our array of water activities and sports and much more attracts many retirees from all over the country and the world. It is why Florida is so attractive to many people whether it is as a seasonal home to get away from the snow, a permanent home for retirees, or a temporary home during your travels. Regardless of your reasons for choosing 55 plus communities, you can rest assured you have chosen one of the best retirement communities at Vienna Square. We offer resort-style living with our maintenance-free villas and single-family homes. We offer a range of options to make them feel more like your own. Services such as lawn and laundry make you feel like you are on a permanent vacation. Our goal is to pamper you. We take care of most of the hassles of home ownership so you can enjoy your retirement to the fullest. Living here you will agree that we are one of the best retirement communities in the area. Picture yourself retired in one of the best retirement communities. What do you see? Do you see a beautiful setting? What are the people like? Do you see many friends nearby? Are you around people who have similar interests and want to also live an active and free lifestyle? Or do you see yourself living in 55 plus communities that make you adhere to a strict schedule and partake in activities that you are not particularly fond of? You can picture yourself swimming year round in one of the best retirement communities in Florida. You envision yourself dancing the night away or having coffee with others your age. Are you coming home to a comfortable and inviting house that you own or is it just a rental that looks a little worn? Many other 55 and older communities do not offer you the luxury and elegance that Vienna Square offers. Florida houses the most top-notch 55 plus communities in the country with the most sought after benefits. With our warm climate and mild winters, it makes Florida the ideal setting for luxury and 55 and older communities. It also allows for year round outdoor activities, which is what drives many retirees to active retirement communities like ours. We offer many different services and amenities. We offer a 7,000 square foot clubhouse with many events available for your choice of participation. Our clubhouse is home to a ballroom, a movie theater, a fitness center and so much more. We even have social activities and events happening on a regular basis. You are more than welcome to join in any time, or take a break and enjoy the comforts of your home. Reacquaint yourself with old friends and make new friends in our massive clubhouse. Connect with others over coffee or through our social activities like game night or a crafting class. Play bridge, bowl or Dominoes with your neighbors on a weekly basis. There is so much to do here that you will never feel bored. That is one of many reasons why people consider us as one of the best retirement communities. We feel that active retirement communities should cater to its residents while still giving you the freedom you desire. You want to enjoy retirement to its fullest without feeling like a puppet. We feel that freedom, happiness and active living are the keys to feeling younger and living longer. Our services and amenities allow you to enjoy the good life. Located in the charming city of Winter Haven, it is central to both of Florida’s coasts. Winter Haven has a lot to do and see. It offers golfing, fishing and many more outdoor activities. Florida offers great weather all year long to be outdoors and have an active lifestyle. Take your visiting family around the Winter Haven area to a sporting event or a local eatery. Go shopping or visit museums. You can even visit a country club or fly over one with a bi-plane ride. 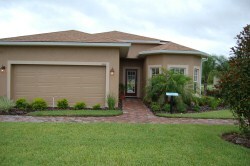 We feel that retirement communities in Florida should give you the choice to do as you please. Winter Haven was chosen because of its centralized location in Florida. A short trip can take you to any city in Florida you wish to explore. You can journey to the beach for a day of fun in the sun or you can go to the zoo and view exotic animals. You can choose to explore the beautiful gardens or take a carriage ride through a historic downtown with friends and family. You may want to tour Bok Tower in Lake Wales, which is a short drive away. You can even take your grandchildren to Legoland, Disney World, Sea World, or any of the other entertainment attractions that are nearby. We are close to great restaurants, shopping, boating, water sports and more so you can live a lifestyle of freedom and independence and Winter Haven puts you in the heart of it all. We want you to enjoy the area as well as the best in 55 plus communities here at Vienna Square. Some 55 plus communities do not allow you to own your property and do not offer a level of services that make the home yours. Our maintenance-free villas and single family homes offer numerous standard features and options including under-roof screened verandas, concrete block construction, two-car garages, walk-in closets, and a wealth of additional upgrades to make your home unique to you. We even offer design center specials to help you create a space that you love. Both the homes and villas include basic cable service, a monitored home security system, a security gate with personal remote access into the community, the use and enjoyment of all out amenities, and professional management for day-to-day community operations. 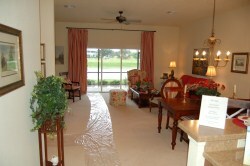 Plus our villas and home are built by the leader in retirement communities in Florida, Century Residential. The best part is that you own your property! We offer maintenance-free villas so you can enjoy retirement without the hassles of mundane housework and upkeep. Our villas are single story homes that offer style and function. They are equipped with huge spaces for entertaining; state-of-the-art elegant kitchens and luxurious master bedroom suites with bathrooms that make you feel like royalty. We also offer lawn service, laundry service, and housekeeping services for you to choose from (some services require an additional fee). We even have a reserve for exterior painting and roof replacement on the villas. Purchasing one of our single family homes gives you fee simple ownership of your house. All of the houses are single story and include numerous standard features such as walk-in closets, great rooms, elegant dining areas, and more. Starting at 1,231 square feet to up 1,930 square feet, you can get the space you need and want at exceptional prices. Plus, we offer great financing options that will allow you to live comfortably. We are not aware of any 55 and older communities that offer this type of ownership, savings, and value. Century Residential has set the standard for fun filled, active retirement communities. For over 30 years, they have been the leader in designing and building Florida’s 55 and older communities for active seniors. We have been family owned and operated for over 30 years. The solid foundation of years of service, as well as the diversity of ideas and the determination to provide the very best community available, have culminated in the development of communities that have been recognized among the ‘Top 50 Outstanding Master-Planned Residential Developments’ for active adults, giving us the status as one of the best retirement communities in the country. Our goal is to set the standard for developing active retirement communities that offer a combination of locations, amenities, quality construction and value. Century Residential gives you a selection of premier retirement communities in Florida that appeal to your active lifestyle and choice of living arrangements. All of our communities are geared for the active adult lifestyle. We offer clubhouses at each of our 55 and older communities with many social events and happenings on a regular basis. Whether you want to golf, swim or enjoy the company of neighbors, travel the country or shop the local boutiques. You can also bicycle or play tennis if you choose to be physically active. If you choose to live in a site built home or in your recreational vehicle, we have the places to accommodate your choice of living and activities. In our 55 plus communities you will be near other retirees with similar lifestyles and interests. You will be able to make lifelong friends and enjoy your time together. There are many things to do at our retirement communities in Florida. You will not get old living in any of our 55 plus communities. You will stay young at heart and young in mind, body and soul. Retirement is a privilege that you get to experience after many years of hard work. We want to help you enjoy your retirement without worry or unnecessary stress and concern. That is why we offer a full array of features and amenities including health services, lawn services and more. Our goal is to make you comfortable doing the things you love with the people you care most about. That is why we have designed 55 and older communities with a vision that caters to the active senior. You want what the best retirement communities have to offer and Vienna Square can give you exactly what you are looking for. 55 plus communities cannot deliver the luxury and lifestyle like we can. We have re-invented retirement to provide you with comfort and care. You do not have to worry about your well-being. Leave that to us. Our Secure Care Pledge is to provide you with the best care in the industry in the comforts of your own home. At the adjacent continuing care campus, a full range of care services are available, with qualified nurses and medical staff on hand. The Continuing Care Campus nearby provides the comfort of knowing continued care is available if needed. As you approach your senior years, we want you to have peace of mind when it comes to your wellbeing. We feel your overall health is important and we strive to give you the ability to live actively and receive help when you need it most. Other retirement communities in Florida do not offer this kind of commitment to its residents. Vienna Square offers the best of everything compared to other active retirement communities. Rated as one of the best retirement communities in the area and having received numerous awards we always strive to exceed your needs and make you feel at home. We have reinvented the idea of 55 and older communities to fit your lifestyle and afford you the carefree living that all retirees desire. It is time you considered where you plan to be as you get older and make the choice for active and healthy living in one of the best retirement communities. Vienna Square offers one of the most affordable and active 55 plus communities in all of Florida. Request a brochure and schedule a visit today!